If you are like most modern day parents, when you go out in public you probably notice that kids are getting fatter and fatter. It can be a tense subject, but there is no denying that the size of children has been steadily growing in recent years, and this trend has dangerous implications on these children’s health. When you consider how a child’s body works, you know that they have very fast metabolisms, burn a lot of energy, and generally have no problem maintaining a healthy weight. 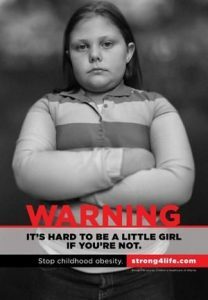 It takes some very bad habits for a child to become obese, yet this is growing more common as time goes on. The key to childhood obesity prevention is realizing that the sole responsibility lies within the parents’ hands. It is the parents’ job to instill in their child healthy, lifelong habits. – After all, children look up to their parents, so fortunately this makes controlling weight problems that much easier. By researching and learning what you can do to teach your child healthy habits, you can help them to grow up leading a happy and normal life. It shouldn’t come as any surprise that one of the biggest contributors to childhood obesity is diet. The food you put into your child’s body gets used up and absorbed, so if you are making sure they eat healthy and nutritious meals, their body is going to function well. – Of course, if you are feeding your children fattening slop, their body is not going to have the proper vitamins or nutrition that it so desperately needs. Obesity is the very result of improper nutrition taken to the extreme. Good nutrition for children is much more critical than for any adult, as their bodies are developing and growing. – Good food will help them to develop into a normal adult. Of course, if your child isn’t used to eating nutritious food, you must introduce it slowly, but the best way to avoid your child eating junk food is to associate healthy foods with “snacks”. Fruit is perfect for this, and by substituting more fattening foods with it, you are ensuring that they’ll grow up with a healthy sense of what they should be eating. While diet and nutrition are key factors for developing a healthy lifestyle, it is important not to focus too much on food. Although it is an important part of life and can’t be avoided, it should not be made the main topic of discussion in the family. If children are constantly reminded of their weight and what overeating can do to them, they could develop an unhealthy attitude towards food. Children also need a healthy amount of activity and exercise in their lives. Playing video games and watching TV are completely normal parts of being a child, but allowing your kid to become so consumed with them that they never get outside is completely unhealthy and causes child obesity. Playing and running around outside are the most common ways that children get most of their exercise, and unfortunately today most children don’t seem to get outside much anymore. To help encourage your child to get up off of the couch, go outside with them! Play games with them, ride bikes! You can even teach them sports! Games like tennis, hockey, cricket soccer and basketball are all great and fun activities that can get your child moving! Playing a game of cricket with your child may not seem like very much, but you’re instilling a healthy mindset and associating “exercise” with “fun” that will follow them all throughout their adult lives! As a parent it is your responsibility to make sure that your child grows up happy and healthy. The very worst mistake you can make is to be a poor role model, so make sure to also take a closer look at physical fitness and health in your own life, and don’t let your own busy life make you overlook the health of your child. It’s easy to think that whatever you put in your child’s mouth will be good enough for them, but this is not the case. 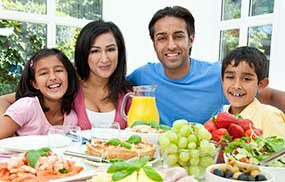 Just by taking an active effort to find healthy foods and activities your child will enjoy, you can rest assured knowing that obesity in your child will be avoided and he or she will grow up to be healthy and happy adult.